Food Costs > How Much Does Cheddar Cheese Cost? How Much Does Cheddar Cheese Cost? Cheddar cheese, the most widely purchased and consumed cheese in the entire world, will always be made from cow’s milk. It’s a hard and natural cheese with a slightly crumbly texture if it cured appropriately. As it matures, between 10 to 24 months, the sharper the taste will become. 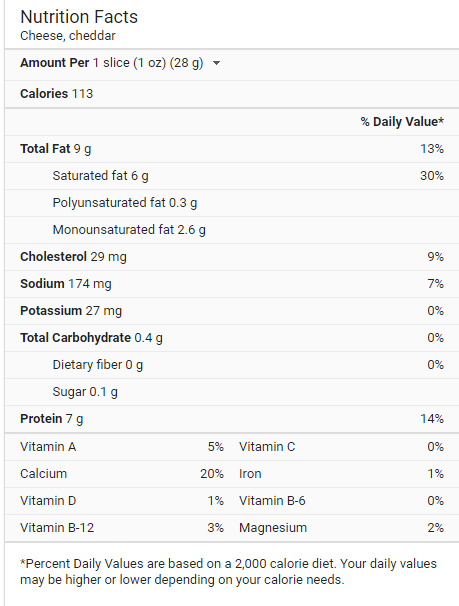 For instance, the highest rated cheddar aged cheese on Amazon.com retails for close to $2 to $3 per ounce. Statista, since 1995, has followed the costs of cheddar cheese per pound. In 1995, for example, the costs of cheddar cheese averaged about $3.39 per pound, until now, in 2017, when cheese averages $4.90 per pound, a 44 percent difference. The Wisconsin Cheese Mart, a cheese specialty retailer we had found online, offered a five-year-old aged sharp cheddar cheese for $4 per half a pound. Mild cheddar cheese, commonly found at the local grocery store, will be aged for about two to three months, whereas a sharp cheddar may be aged for as long as a year. Aside from the “sharper” flavor, this is the only difference between the two. The cheese, either vacuum sealed or wrapped in a wax paper, is done to remove the air before sealing. According to Cabot Cheese, mild cheddars will melt easier, but sharper cheddars, if melted, should be shredded or cut into strips first to create a nice consistency. Cheddar cheese is always best served at room temperature. Before serving, allow it to sit for up about 30 minutes to bring out its full flavor. 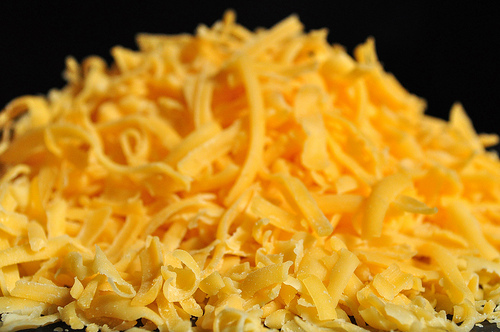 What makes cheddar cheese sharp? Cheddar cheese is unique in a way that it often has a description before its name, such as sharp. Sharp is the term defining how the cheddar changes in its flavor and texture as it naturally ages. Mild cheddar cheese ages for close to three months, while sharp cheese ages for about nine months. An extra sharp cheese, the longest of the three, can age for close to two years. As it ages, the flavor changes from a milder taste to something more tangier and deeper in flavor. Often, if you visit a farm, they will have a whole cheese shop dedicated to homemade cheese. Not only are these cheeses superior in quality to those found in the supermarket, they are often a better value for money since they are usually bought in larger quantities. Farmers markets are also a good place to look for fresh cheese. If you are going to buy inside of a grocery store, keep your eyes peeled for sales or promotions from leading brands such as Kraft and Sargento. These companies commonly offer coupons in the local paper, online via their official website/email newsletter and/or on social media. Store-branded cheese, as noted in the table above, is often up to 30 percent cheaper and will taste similar to the name branded counterpart. In fact, all store-branded cheese is created in the same factories, with slightly modified ingredients. Compare the ingredients on the packaging label to see which store-branded cheese closely matches up to its name branded counterpart.